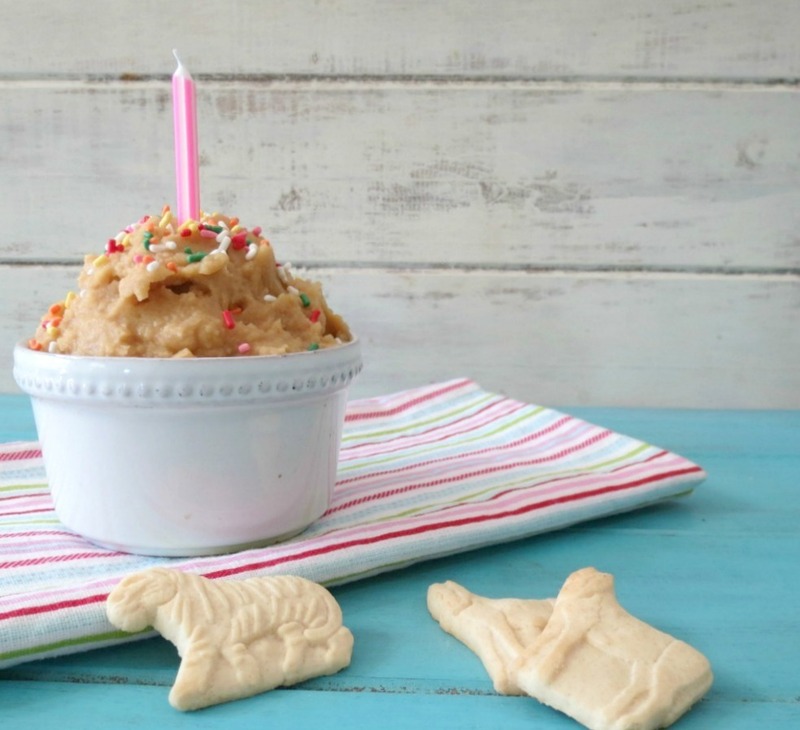 Today I have a birthday treat for you, no it’s not my birthday or anyone I know, but that doesn’t mean there shouldn’t be any reason why you can’t eat some cake batter? After all cake batter is so good!! Oh and good for you too! What? It is? Yes, mine is and you can spoon it right up!! Mmm, mmmm get me the spoon baby, I need some batter! So what is in this batter you wonder? A combination of good things! I used garbanzo/chickapea beans for the base, added some maple syrup, stevia, vanilla extract and butter extract. All that together makes a great birthday surprise! Have you ever heard of butter extract? I was recently at my grocery store and I saw it by McCormick and thought, hmmm, weird. Then about a week later I thought about it and thought, I bet that would be a great substitute for butter without actually using butter. So I went back to the store and they didn’t carry it anymore. I googled it and I couldn’t find it by McCormick anywhere near me. So I did some research and discovered J.R. Watkins and found out that they carry it. So I placed my order and a week later there it was. Oddly enough the day after I got it, I went to the big grocery store, you know the really nice ones and there it was on the shelf, butter extract from McCormick. Figures, but anyway I have it now and now I get to create yummy treats without all the fat and calories! I am truly amazed how much this really does taste like cake batter. I just love changing up recipes using garbanzo beans. Such a wonderful healthy bean and honestly you can’t taste the bean in it! Plus I added the sprinkles to make it more festive! So tell me, when you make a cake, do you eat the batter? My favorite part about making cakes and cupcakes is licking the beaters. When I was a kid my Mom would make the boxed blueberry muffins, and ever since then I fell head over heals for batter. Something about that stuff that tastes magical. Ok, maybe not magical but as a kid I thought so! Gosh, it’s been forever, I wonder if they even make that anymore? Remember the blueberries in the can? Ahh the good old days! 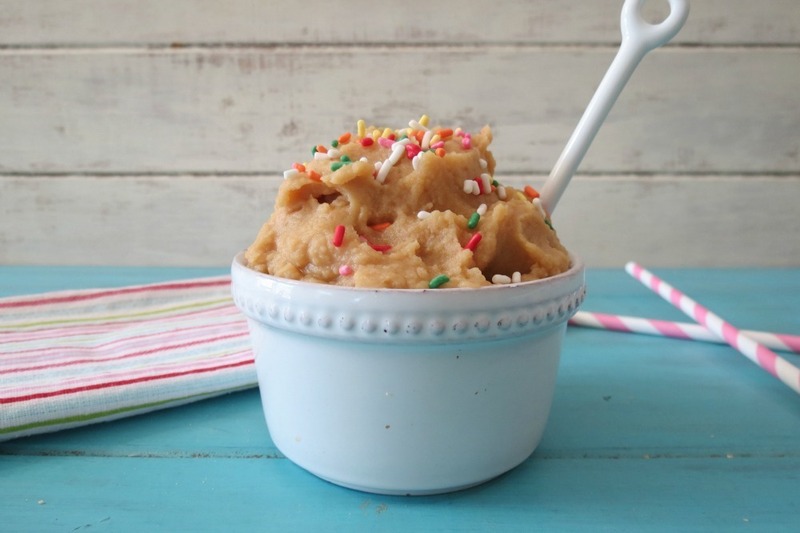 A healthy vegan, gluten free dip that tastes just like cake batter without all the fat and calories, plus it's healthy for you! Place all ingredients in a blender and process until creamy smooth. 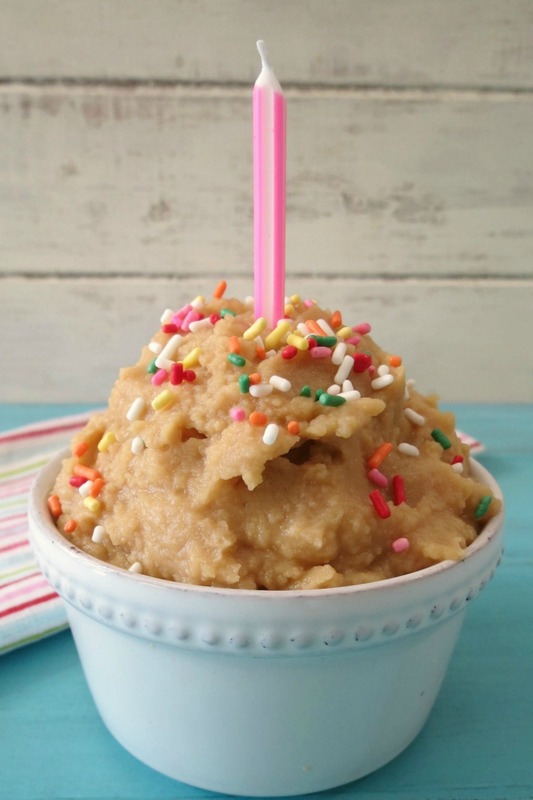 You just have to love cake batter! Yum!! On some other news, I thought I would share with you my new partnership with Ziplist! I thought teaming up with Ziplist would make saving and printing recipes more easy! Let me show you a little tutorial. In case you haven’t noticed I have a new page tab on the top of my screen. 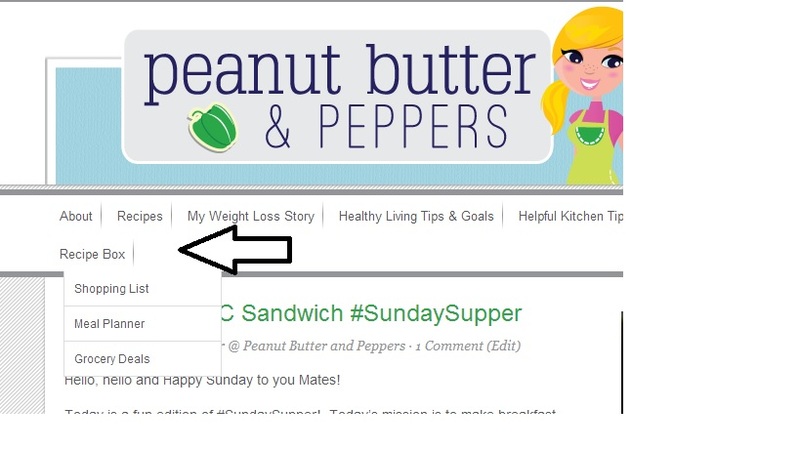 This is where you can go to see all of your recipes that you have saved. It will show you your grocery list, set up a meal planner and even give you grocery deals in your area. Not only recipes that you save from my site will go there, but from other sites that you have saved recipes from like Martha Stewart, Serious Eats, Epicurious and of course your favorite bloggers. All you have to do is set up an account on Ziplist to enjoy all of these features and it’s free and easy!! I love it! I even use it for my own recipes. Plus it shows up on your phone, so I can look at my list and shop!! 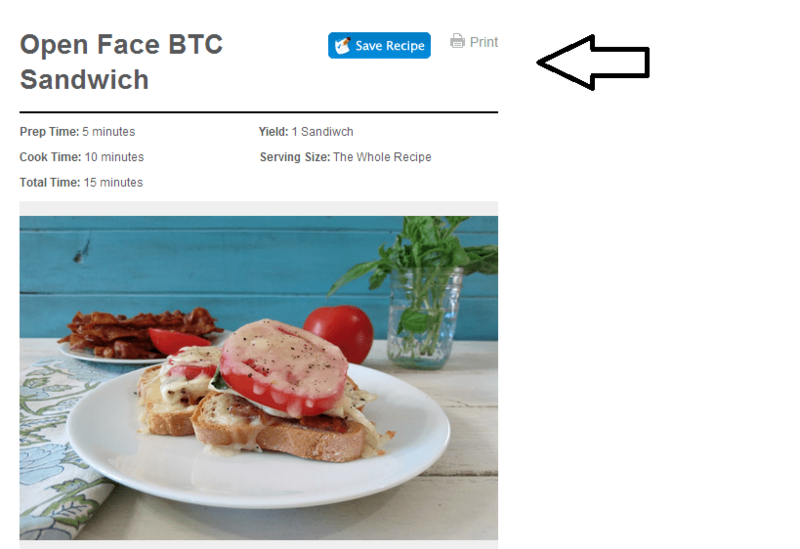 To use, you can just click the save recipe from my site and it will show up in your recipe box. Plus you can still print my recipes as normal. I thought this would be easy and convenient to use. I know it has made my life easier. If you have any questions, please feel free to ask! Well my Friends, this was a full post and I need to get moving on my day! Well – it is my birthday today – what a coincidence! Can’t wait to try this! Happy Birthday Kathyr!! 🙂 Enjoy your day! Butter extract can do amazing things! I’m totally going to have to try this to get my dessert fix but in a healthier form! I love butter extract, it’s crazy the stuff they come up with. I would say yes, you do slightly taste the beans in the recipe. It’s more of the after taste then the initial taste. Not everything is for everyone. I love chickpeas, so if it does have a slight taste of it, it doesn’t bother me. Um isn’t that Chocolate Covered Katie’s recipe? No it is not, I just checked out her recipe and it is quite intriguing. I made this recipe by mistakes, trying to make something else. This looks awesome! I can’t wait to try it. 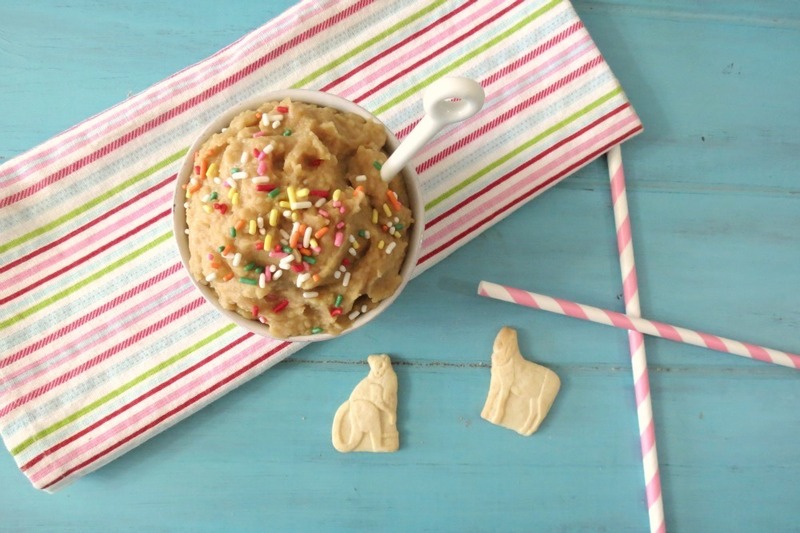 I am a huge fan of cookies made from chickpeas and I am sure this tastes as good as it looks! 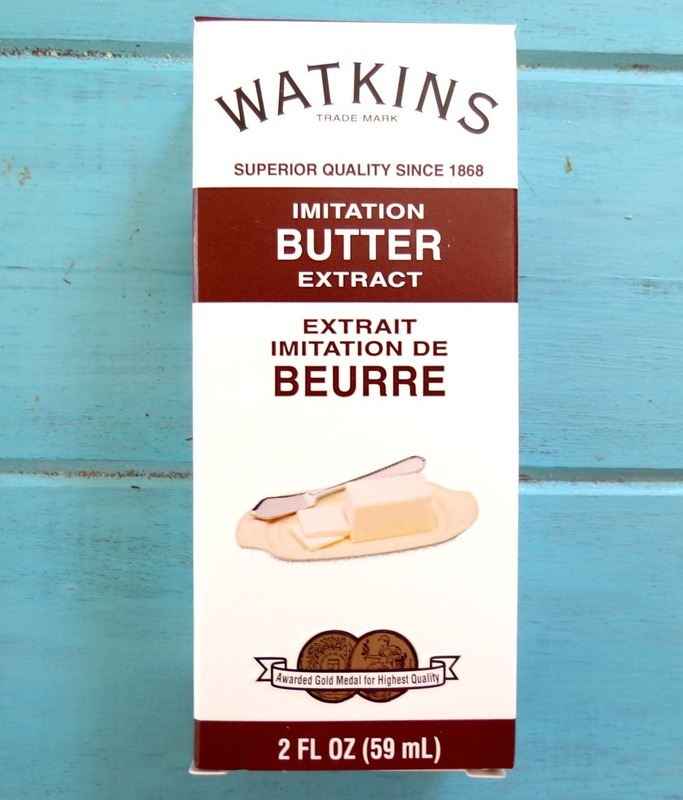 I had no idea that butter extract even existed. Funny how you can make so much with those crazy little beans! I love them in cookies and brownies too! Oh my, doesn’t this look AMAZING?!! Can’t wait to try it! This looks insanely tasty. I just bought some butter extract and haven’t known what to do with it. I knew I wanted to do something cake batter-like so this is looking PERFECT! Thanks Kylie! You should try the butter extract in a smoothie. Add a banana, milk and a pinch of extract and you have a birthday cake smoothie! It’s amazing!